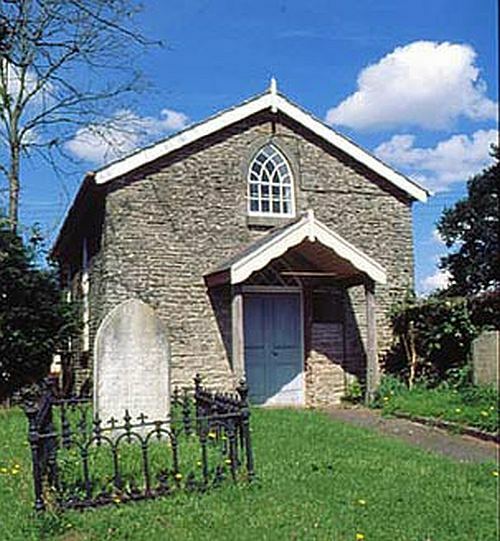 This charming little chapel was erected in 1849 and opened in April 1850. It has its own little burial ground surrounding it. In 1851 it had seating for 80 worshippers. On Census Sunday 30 March 1851 there were 32 worshippers at their afternon service and 29 at their evening one. The chapel closed in the 1990s and now belongs to the farm next door. The building is in reasonable condition.